An Edmonton bus driver who stopped his bus to help a man in need is being credited with saving the man’s life. Douglas Cowan was taking the bus to church Sunday morning when he noticed the driver pull over in front of a bus shelter. A man was sitting on the bench in the shelter, slumped over and seeming not to have noticed the bus. The driver called out to the man, asking if he needed help. “There was no response, so the driver quickly got him on the bus,” Cowan told CTV Edmonton. Cowan said the man was clearly in “dire need of warmth.” The temperature in Edmonton at the time was around -30 C, with the wind chill making it feel colder than -40. The driver walked the man to a seat on his bus, called an ambulance and tried to comfort him as they waited for paramedics. “I think I heard him say that he’d been there most of the night. It’s just a miracle that he’s alive,” Cowan said. An Edmonton Transit Service spokesperson said bus drivers have been told to look out for people who need help during an ongoing cold snap. The city hasn’t seen temperatures above -15 C since Feb. 1, and isn’t forecast to break that mark at any point this week. “This is just a perfect example of a bus driver being alert and jumping into action,” spokesperson Rowan Anderson said. 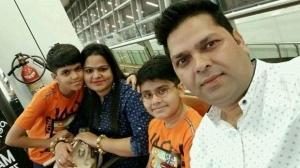 The man was taken to hospital for treatment. He was listed in stable condition Sunday evening. 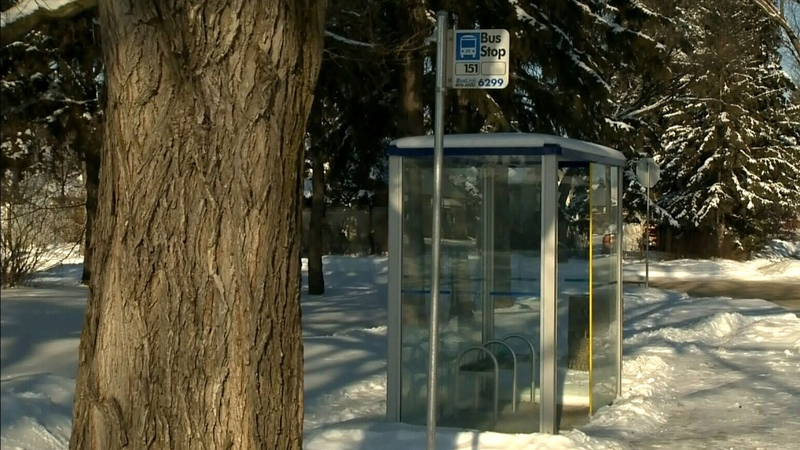 A bus driver noticed a man slumped over at this bus shelter in Edmonton and took him onto his bus to warm up while waiting for paramedics to arrive.